Bridget is a passionate leader on a mission to create simple technology products that change our working lives for the better. Bridget grew up on a sheep farm in Ireland. She excelled academically, with her university scholarships and entrepreneurial spirit taking her to live and work in France, Hong Kong, Ireland, and most recently settling in Australia at the age of 21. Bridget worked for Bain & Co in Sydney before the founding of Expert360 in 2013, at age 25, with a mission to create the technology platform that would allow companies to power agile, project-based workforces. Today, Expert360 is APAC’s leading marketplace and management platform powering the freelance economy. Bridget and her family also run a not-for-profit Science Education Program in Masiphumelele Township, Cape Town, South Africa. Bridget is passionate about the future of work, in particular using the power of technology to increase work participation and more broadly tackle inequality through more and more accessible work opportunities. 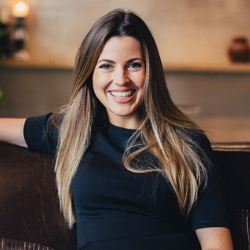 She has won numerous accolades such as Forbes 30 Under 30, Top 100 Women of Influence in Australia, FutureMakers list of Australia’s top 25 Emerging Entrepreneurs under 25, Shoestring’s Top 50 Australian female entrepreneurs under 40.